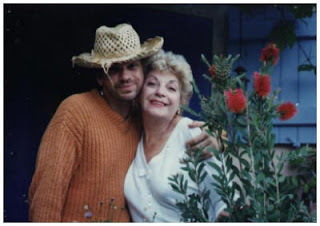 WAIST HIGH: Michael Hutchence's Mother Patricia Glassop Has Passed Away. Michael Hutchence's Mother Patricia Glassop Has Passed Away. "Sadly yesterday my 84 year old mother Patricia passed on. She looked beautiful, and I was happy to have been there for her. Thank you for all your kind words and wishes. Sincerely"